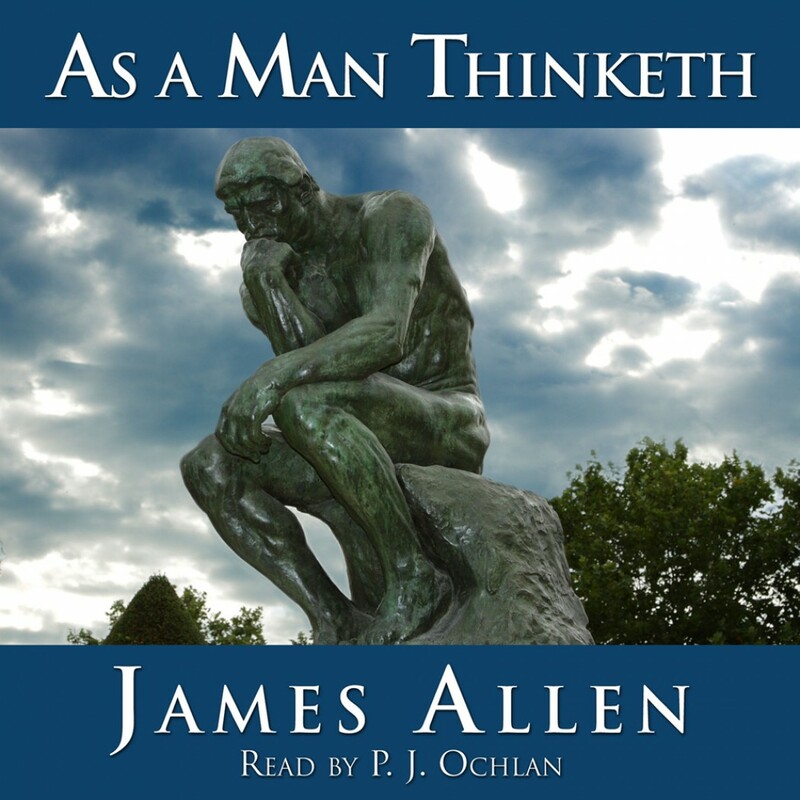 As a Man Thinketh By James Allen Audiobook Download - Christian audiobooks. Try us free. James Allen's classic As A Man Thinketh. The bestselling classic that inspired "The Secret". As a Man Thinketh, Allen's most famous book, today is considered a classic self-help book. Its underlying premise is that noble thoughts make a noble person, while lowly thoughts make a miserable person. In "As a Man Thinketh," James Allen reveals how our thoughts determine reality. Whether or not we are conscious of it, our underlying beliefs shape our character, our health and appearance, our circumstances, and our destinies. Allen shows how we can master our thoughts to create the life we want, lest we drift through life unconscious of the inner forces that keep us mired in failure and frustration. "The Vision that you glorify in your mind, the Ideal that you enthrone in your heart-this you will build your life by, this you will become." This principle, which others have called The Secret or the Law of Attraction, was clearly and convincingly stated for the first time in "As a Man Thinketh." As a being of Power, Intelligence, and Love, and the lord of his own thoughts, man holds the key to every situation, and contains within himself that transforming and regenerative agency by which he may make himself what he wills.